From Megahouse. In the late 1980s, one of the most popular Japanese animated series was Mado King Granzort, a series about a young boy, part of a moon colony, in the late 21st-century. 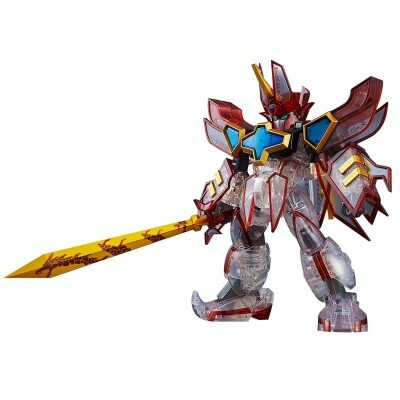 The Mado King Granzort: Super Granzort Action Figure recreates the super robot that the boy, Daichi, could summon to battle the Long-Ears that threatened the lunar colony. This figure features a slight super-deformed look and stands 6 1/4" tall.